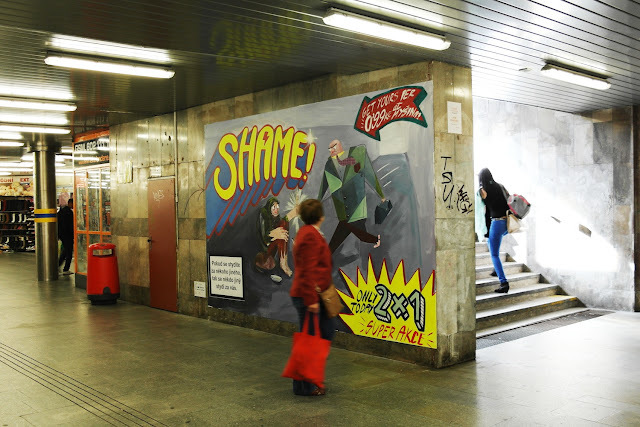 Currently under the main station of Brno has been installed a series of artworks as part of the project called Galerie Myšina in which they make the street an art gallery. I like idea and although is not new is good that someone decide to use the dark walls of the corridors under the station and put some color on them. The project this time presents artists from the faculty of fine arts of the Brno university of technology and from the Escola Massana University in Spain so is nice to see artworks from international artist.